Jo Ann Viola is joined by County Executive MaryEllen Odell, Tom Fieghery (left) and Kevin Scheil, vice president of the Putnam FOP lodge, when gathering toys for families in need—gifts donated to area organizations who assist the less fortunate. Stor… Please login below or purchase a subscription to the Putnam County Courier to access this content. 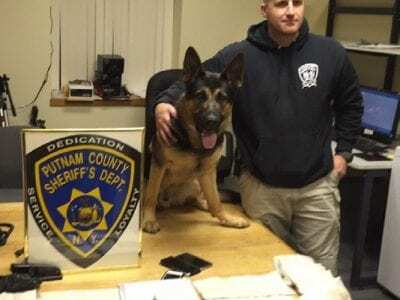 Deputy Christopher Irwin and his canine, Kato, assisted in the apprehension of two alleged drug dealers and the discovery of two kilos of heroin. 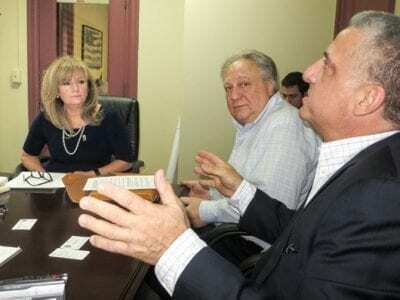 Photo By William McnamaraThe illegal drug trafficking trade has taken a major hit in Putnam County with … Please login below or purchase a subscription to the Putnam County Courier to access this content. It took Debora Portillo 30 years to gain U.S. citizenship; she’s from Guatemala originally. 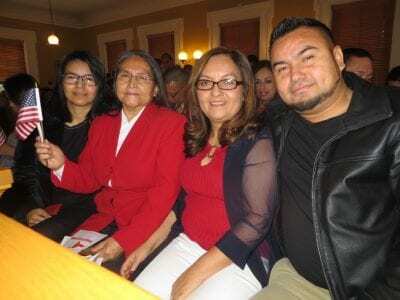 Portillo, a resident of Kent, attended the naturalization with her daughters, Maria Quezada and Yohany Portillo and son, Jonathan. Photo by Eric Gross It’s… Please login below or purchase a subscription to the Putnam County Courier to access this content. Rabbi Avi Korer lights the menorah during Putnam’s official lighting in downtown Carmel on a frigid evening last Thursday. Photos By Eric GrossChanukah or the Festival of Lights was celebrated countywide last week. 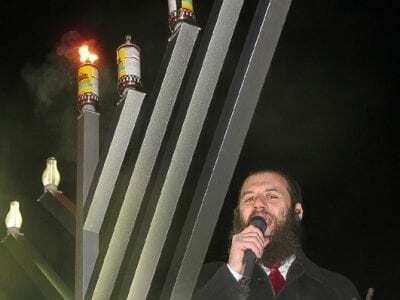 Menorah lightings were held in Car… Please login below or purchase a subscription to the Putnam County Courier to access this content. 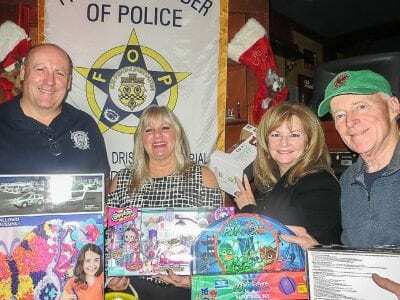 Putnam’s Fraternal Order of Police (FOP)—the Stephen Driscoll Chapter—named in memory of the September 11, 2001, hero from Lake Carmel who gave his life at Ground Zero so others could live, has donated more than 300 toys to needy families throughout … Please login below or purchase a subscription to the Putnam County Courier to access this content. The holidays have arrived and parties are in full swing. Parents are being urged this week to plan their teenaged son or daughter’s gathering to avoid unwanted and often tragic consequences. The Putnam Communities that Care Coalition reminds adults t… Please login below or purchase a subscription to the Putnam County Courier to access this content. To the Editor, Sexual harassment is a problem that has permeated our society. It is in entertainment, in businesses, in schools, in every level of politics, and in our communities. 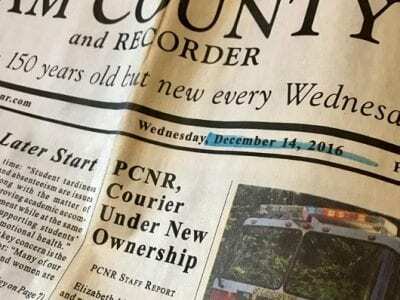 I have heard stories from so many of my friends, my constituents, and… Please login below or purchase a subscription to the Putnam County Courier to access this content. Putnam’s semi-annual blood drive — sponsored by the Stephen Driscoll Lodge of the Fraternal Order of Police, Putnam Bureau of Emergency Services, local residents serving with the Fire Department of New York and the Carmel Knights of Columbus — take… Please login below or purchase a subscription to the Putnam County Courier to access this content.